Transitional Kindergarten and Kindergarten Online Registration begins March 6th. Registration will consist of parents/guardians completing the online enrollment on the home page of the District Website. Turn in the online registration papers along with your child's birth certificate and immunization record. Proof of Residency OR an interdistrict agreement for families living outside of the District. For every student who attends Wheatland School District, a complete registration packet must be filled out the first time you register (online). The Data Confirmation must be completed each year for returning students using the Aeries parent portal. This form gives us the necessary information to deal with any emergencies that may arise. EMERGENCY NUMBERS ARE VITAL! It is essential to the safety and well being of our students that we be notified of any changes to the information on the emergency forms. We will only release children to parents, guardians, or names of people you list on the emergency form. California Law requires that all students entering a school in California present proof of immunization prior to admittance. Students registering without, or incomplete, immunization records will not be allowed to begin school until the required immunization records have been supplied. Please be aware! 2 Hepatitis A vaccinations are now recommended for all children beginning at the age of one year, but not required for school entry. All incoming 7th graders are required to get a whooping cough booster shot, called Tdap, before entering school. Students who have not received this booster shot prior to the beginning of the school year will not be allowed to start school. Pertussis, also known as whooping cough, is widespread throughout California. 1. An Administration of Medication form must be submitted detailing the type of medicine, the amount to be administered, when it is to be administered, and for how long, with the physician's signature (This form can be picked up at the school office). 2. The medicine must be given to the office personnel for security in the original prescription bottle. 3. Complete records are to be kept regarding the administration of any medicine by the office staff. 4. We cannot, under any circumstances administer any over the counter drugs, such as aspirin, to any of our students without a completed Administration of Medication form and parent consent. In order to accommodate dietary modifications in the breakfast and lunch program at school, a physician's written authorization needs to be submitted to the School Office and/or to the District Office. The School District insurance does not cover school accidents or injuries to your child. An insurance form is provided the first day of school for parents to apply and pay for private insurance. California Law requires that all children have a checkup before entering first grade. The exam can be done anytime 18 months before or 90 days after entry into first grade. A completed first grade physical form must be on file at the school. Many things impact a child’s school progress and success, including health. Children must be healthy to learn, and children with cavities are not healthy. Baby teeth are not just teeth that will fall out. Children need their teeth to eat properly, talk, smile, and feel good about themselves. Children with cavities may have difficulty eating, stop smiling, and have problems paying attention and learning at school. 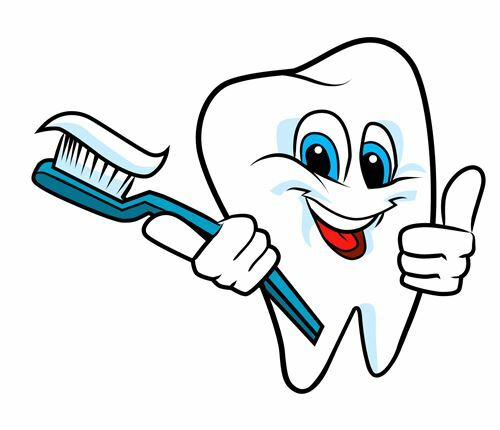 Parents or guardians must have their child’s oral health assessed by May 31 of the student’s first school year (kindergarten or first grade). Assessments within the 12 months before the child enters school also meet this requirement. The assessment must be done by a licensed dentist or licensed or registered dental health professional. The Happy Toothmobile is a mobile clinic offering full service dentistry to Yuba County Children!